Disclosure: For your convenience, this post with Tips for Shopping at Kids’ Consignment Sales may contain affiliate links. It always seems like my kids are growing at lightning speed. Sometimes it is almost like they have a super power where they can outgrow their clothes overnight! Am I the only one who feels this way? That is why I do not like to spend a lot of money on their clothes. As a young widow and single mom of three young children who need new clothes every season, I simply can’t afford to fork over the big bucks on clothing. That is why I love shopping at kids’ consignment sales! Twice a year, in the spring and in the fall, I shop (and sell) at our local Just Between Friends Children’s Consignment Sale and purchase nearly all the clothes my kids will need for the following season at a fraction of the cost. Often the items are second-hand, but I also score a few brand new items at these sales! If you are looking to save money or even be more eco-friendly by not purchasing new stuff, then I highly recommend checking out the kids’ consignment sales and mom-to-mom sales in your area. 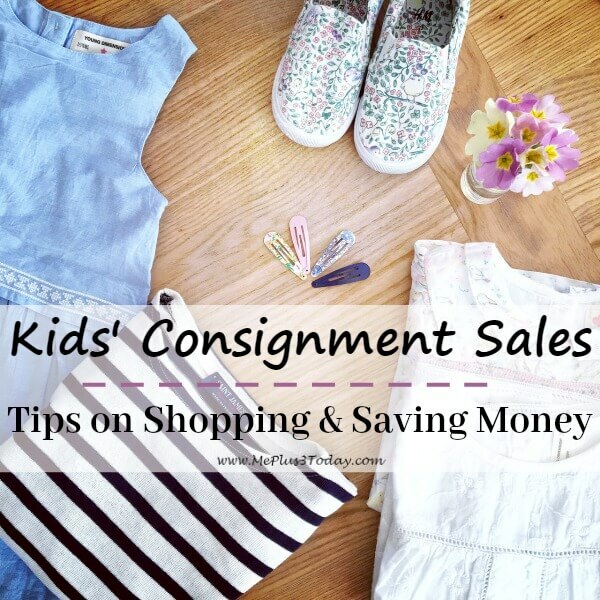 To help you out, I’m sharing everything I learned shopping at kids’ consignment sales over the past 5 years. If you want to know even more about kids’ consignment sales, then click here to visit my main kids’ consignment sales page where I share EVERYTHING I have learned. 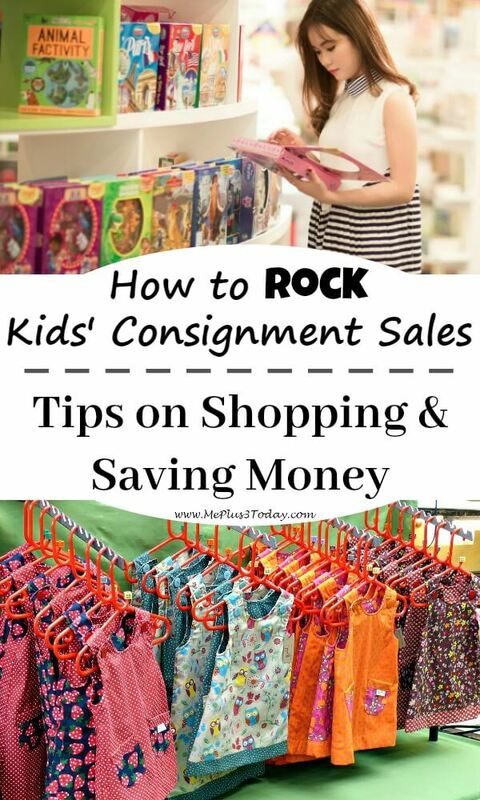 On it, you’ll find links to tips for selling at kids’ consignment sales, including pricing tips, prepping tips, and everything you need to rock the mom-to-mom sales in your area! Now, let’s get you ready to shop ‘til you drop! At the sale I shop at, they provide giant IKEA bags for shoppers to put items in. However, your sale might not do this, so I recommend verifying what they have before you go to shop. As a suggestion, I have seen many people use large Thirty-One bags or other large utility bags. I have also seen people with portable wagons like this one, or even a stroller with no kid in it to carry all their stuff. Trust me, your arms will thank you for having something to put your items in! The sale I go to is huge and I like to look at almost every item in the size that I am shopping for each kid to ensure I am finding the absolute best deals. Thankfully I have twin girls, so 2 of my kids are the same size and gender! When I see something I like, I grab it and put it in my bag. Sometimes I find that same item for cheaper and I switch it out. When I start to acquire too much stuff, I take a minute to thin my pile out. I do this by going through everything in my bag and evaluating what I really want/need. I also keep/remove items based on how good of a deal it is. During this sort, I also try to create outfits so I’m not just buying random stuff that they are never going to wear. I admit that I have gone overboard a few times while shopping at kids’ consignment sales when I found so many good deals I just couldn’t pass it up, but then we just end up with way too many clothes that the kids don’t need. If you are like me, shopping at kids’ consignment sales might take a while. So make sure you wear comfy shoes and clothes. Also, leave your jacket in the car. Hopefully you won’t be waiting in line outside if it is cold out, and it will only be a short walk to the car where you might be chilly. But I am always burning up at the end of the sale. Since you might be carrying a lot of stuff at certain times, try to use a small cross-body purse like this or even a wristlet like this with just your phone and money in it. My arms always get so sore shopping because the top rack is taller than I am and my arms are always up over my head as I move through the clothes. The less you have weighing you down while you shop, the better! Shopping Tip #4: Verify what payment methods are accepted. Do they accept credit card, check, or cash? It is so important to make sure you know what kind of payments the sale accepts before you get there. Bring the right payment type so you aren’t stranded at the cashier! Shopping Tip #5: Remember it’s more than just clothes! Yes, kids’ consignment and mom-to-mom sales have clothes (including juniors and even maternity). But there are also toys, DVDs, books, home goods, room décor, outdoor toys, kid furniture, baby gear, and so much more. You can find almost anything you need for your child shopping at kids’ consignment sales! Note: There are often big items at these types of sales (think outdoor toys and toddler beds). They usually have a hold counter for you to place big items that you intend to purchase so you don’t have to carry them around the sale with you. Also, even if you are just buying lots of little items, you can usually stash those away at the hold counter too so you don’t have to carry them around while you shop. For the most part, people make sure to only include the best items in the sale. The sale I participate in also has some quality control measures built in with people inspecting items on the racks throughout the sale. But it is still possible for stained or damaged items to get through. So make sure the zippers work and all the buttons are there. Look for rips, tears, and holes. Look for stains that you don’t think you’ll be able to get out at home. This way you won’t get stuck with a dud. Also make sure toys work! Push all the buttons and move any parts that are supposed to move. Do your best to make sure all the pieces are included. Note: Even if you do end up getting home and finding something wrong with it, you can always use it as play clothes or something you can wear while doing crafts. There are tons of ideas on how to repurpose/upcycle on Pinterest too. Shopping Tip #7: Go again on markdown day! Sometimes I go shopping again on the last day of the sale. This is typically when kids’ consignment sales will offer everything with (or without) a special mark on the tag at half price! Yes, it has been pretty picked over and there is not much left, but sometimes I take this opportunity to find amazing deals on out-of-season clothing that most people weren’t shopping for. For example, in the spring time when people are shopping for shorts and other summer clothes, I’ll look for winter coats, pants, Christmas dresses, and long-sleeve shirts that are marked down. It is also when I might pick up an extra toy or book for the kids at a good deal. I definitely don’t spend as much time at the sale on this day, but it is a nice way to save even more money on stuff that we will eventually need anyway or a special surprise for the kids. Often people who are selling at the sale get a special perk of being able to shop before the sale opens to the general public. This is also a perk offered to people who volunteer to help with the sale. Shopping early before the crowds come in allows you to get the best selection and find the absolute best deals. Shopping Tip #9: Have fun! The kids’ consignment sales are the only time of year when I really get to shop for something other than groceries. If you are on a tight budget like me, then remember to enjoy the thrill of shopping without having to spend an arm and leg to get new wardrobes for your ever-growing children! 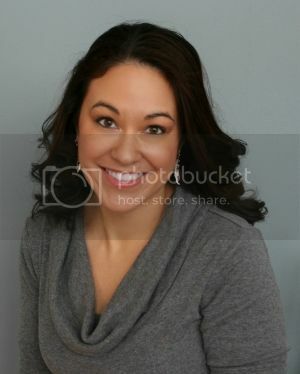 I hope you found these tips for shopping at kids’ consignment sales helpful. Visit me on my Facebook page here http://www.facebook.com/meplus3today or Tweet me here and let me know what kind of great deals you got! 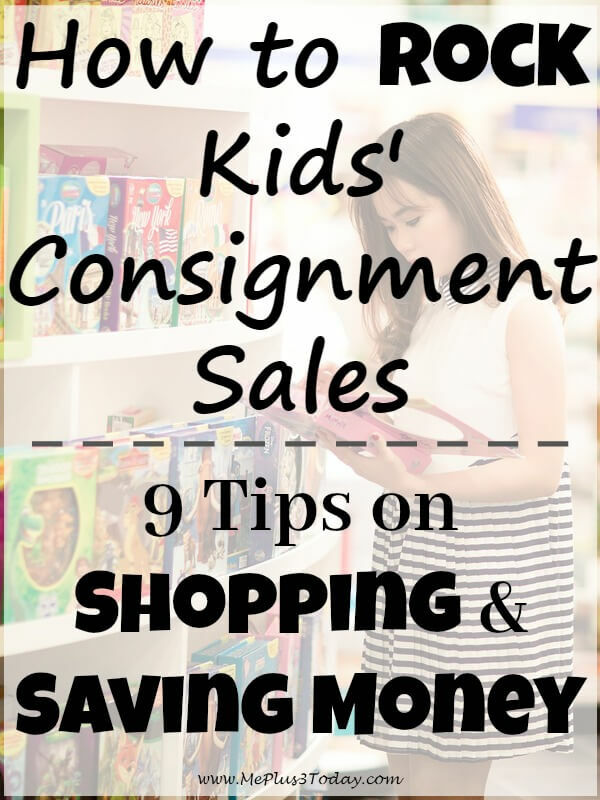 Now click here to visit my main page where I link to EVERYTHING you need to know about kids’ consignment sales, like tips for selling, pricing, and prepping! Tagged Budget and Money, Eco-friendly, Kids Consignment Sales, Motherhood, Reduce Reuse Repurpose Recycle, Single Mom, Tips & Tricks. Bookmark the permalink.